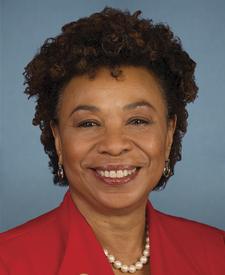 Rep. Barbara Lee won election to represent California’s 13th Congressional District in 1998. Since then, she has earned a reputation as a bold leader who is willing to set politics aside and stand on principle. In 2007, she played a leading role in founding the Congressional Out of Poverty Caucus and has worked to promote a living wage since the day she took office. Lee is the former Co-Chair of the Congressional Progressive Caucus and former Chair of the Congressional Black Caucus. She currently serves as Senior House Democratic Whip and sits on the House Committees on Appropriations and Budget.